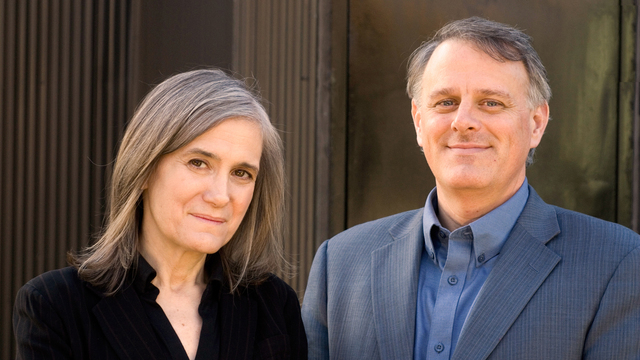 The Other Charlies | Democracy Now! The massacre at Charlie Hebdo, and the subsequent killing of a policewoman and mass murder at the Hyper Cacher kosher market, shocked the world. Young fanatics with automatic weapons unleashed a torrent of violence and death, fueled by zealous intolerance. At the Paris offices of Charlie Hebdo, the satiric newsmagazine, 12 were murdered and 11 wounded. The victims were guilty of nothing more than expressing ideas. Certainly, true to the point of satire, many of the ideas were very offensive to many people — in this case, caricatures of the prophet Muhammad. In the wake of the violence, people from around the world expressed solidarity with the victims, and with the people of France. Among the world leaders who flocked to Paris to condemn the attacks were some of the worst perpetrators of repression of journalists, all too often Arab and Muslim journalists. They raced to the scene of the massacre. Morillon went on: “There were still bullets on the ground. It was just very chaotic. We were just wondering who’s dead, what happened. And a man left the office, and he just went into President [Francois] Hollande’s arms. He burst into tears, ‘Charb est mort,’ ‘Charb is dead.’” He was speaking of Stephane Charbonnier, Charlie Hebdo’s editor. Photos and video of the world leaders standing, locked arm in arm, leading the massive march, raced around the planet. Much ado was made in the United States of the absence of any high-level Obama administration official. Even though Attorney General Eric Holder was in Paris that day, inexplicably, he didn’t show up for the march. Egypt’s Foreign Minister Sameh Shoukry was there, whose government has imprisoned many journalists, most notably three from Al-Jazeera who have been held for more than a year now: Peter Greste, Mohamed Fahmy and Baher Mohamed. It has now been reported that the world leaders, locked arm in arm, were not in the march at all, but were gathered for a photo opportunity on a closed street, away from the protest, under guard. Quite simply, it was the people who led that day, not the leaders. 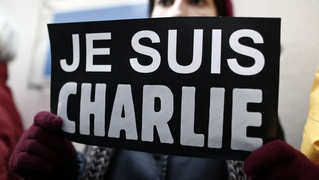 “Je Suis Charlie,” or “I am Charlie,” was the battle cry of many. Others tweeted or held signs that read, “I am not Charlie,” condemning the violence without endorsing Charlie Hebdo’s caricatures. A Muslim woman held a sign, “Je Suis Juif,” “I am Jewish,” in solidarity with the Jewish victims. Others held signs that read “Je Suis Ahmed” for Ahmed Merabet, the French Muslim police officer who was killed outside the magazine offices. Close to four million people took to the streets of France last Sunday, demanding a more peaceful society, one in which press freedom and religious tolerance overwhelm violence and hatred.